Blue rug juniper is an awesome shrub kind of plant you can choose to grow or cover the ground of your yard as part of a landscape design. This plant belongs to evergreen shrubs. The shape of this plant, which is dense and it looks like a rug, and the color combination it has are very ideal to be a ground cover of your yard. This blue rug is a kind of plant which quite easy to be taken care of. There is no plant which doesn’t need maintenance. 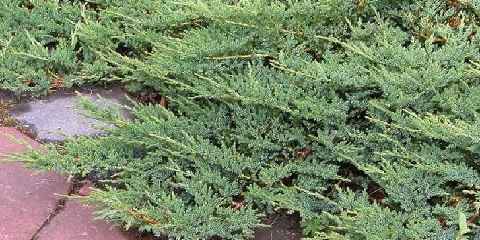 However, this blue rug juniper is a plant which has low maintenance. It doesn’t require high maintenance so it is quite easy to grow. This blue rug also tends to be resistance to some plant diseases so no need to worry. Yet, to prevent from any diseases you need to prune the mature ones in a way to get better circulation of air. It is a kind of plant that loves sun. if you want your juniper looks attractively dense like a carpet, make sure you put it directly under the sun as it goes well in hot and dry conditions. Although this juniper dwarf shrub is easily maintained, it doesn’t mean that it does not need our attention at all. As you know that every plant or living thing needs to be taken care. As for this plant, you need to aware of weeds and insects. Blue rug juniper is susceptible to weed and insect, specifically spiders and mites. However, they’re still treatable. Make sure you trim it once in a while, or well mulched, don’t get often though. To treat the insects, you need to disturb the web making by giving a firm spray on to the mature juniper once in a while, in summer for instance. Blue rug juniper has several uses. People use this decorative low growing shrub for a number of uses. The first use is for ground covers. As this sort of juniper can be planted in any kind of soil and fits perfectly in a landscape area it can be a stunning evergreen ground cover. You can get a splendid blue, evergreen carpet spread beautifully on your home yard. Other usage of this plant is to prevent weed. As it lays and covers the ground perfectly, it keeps out the weeds perfectly. 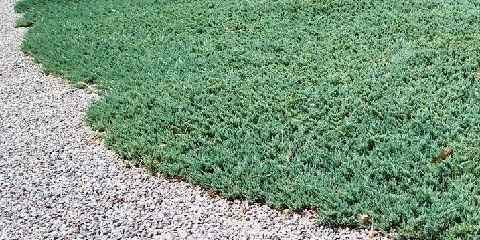 Besides used for excellent ground covers, this blue rug can be functioned as erosion prevention for a slope. 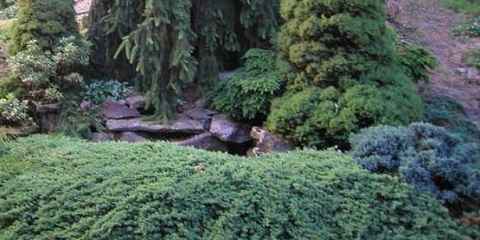 People who own a slope ground at their home would prefer grow this type of juniper to avoid water flows fast through it. 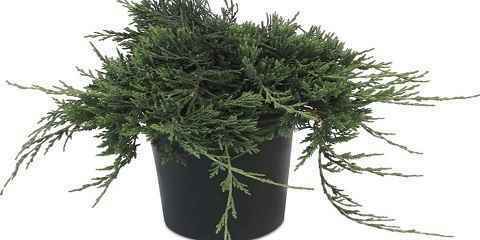 This sort of juniper can be planted in any kind of soil and fits perfectly in a landscape area. However, you can also grow this blue rug on top of a wall. Let this shrub creep over it. It will be an awesome display looking at the juniper grows well over the wall and goes toward the ground. As there is a number of advantages growing this plant, it is very recommended for you to grow and utilize this evergreen shrub.